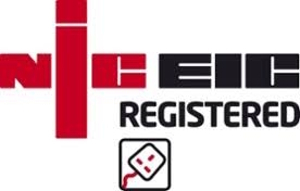 Leigh Electrical are proud to hold full NICEIC Registration. This is a much coveted standard in the Electrical Trade. All NICEIC Registered companies offer a full 5 Year Guarantee on all the Domestic and Commercial Electrical work they undertake, ensuring complete peace of mind for their customers. To speak with a Southend based NICEIC Registered Electrician, please call Leigh Electrical on 01702 873350. Leigh Electrical are an approved Installer of AICO Smoke Alarms throughout Southend and the wider Essex area. Leigh electrical contractors have been officially certified with the City and Guilds qualification, allowing us to proudly display the logo that almost everyone recognises. City and Guilds is a much desired and trusted qualification showing the full certification the work and service that we provide. Customers can rest assured in our governing body that a quality and value for money will be achieved with every install and that care and professionalism will be given in all areas and circumstances. Leigh electrical have been registered with the City and Guilds for over a decade showing our constant dedication to precision and safety along with exceptional customer satisfaction. 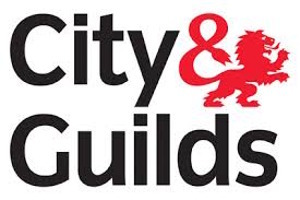 For more information on City & Guilds Electrician Qualifications and what they mean for you as a customer please follow this link. Trust Mark is another of our governing bodies which are used in almost all electrical institutions of electrical installation regulation. Leigh electrical have been inspected by trust mark and given an official certification that our work meets the highest of standards and the safest of installations. It is our duty to provide the very best service and we are proud to be a member of such trusted and recognised institution and only wish that other electrical companies could be as reputable as ourselves as quality speaks for itself. To speak with Trust Mark Registered Electricians in Southend, please call Leigh Electrical on 01702 873350 and we will be more than happy to assist you with whatever Electrical Issues you may be facing, in a prompt, courteous, knowledgeable and cost effective manner. For more information on what using a Trust Mark Registered Electrician means for you as a customer please follow this link.